To remove an area with selection tools, choose the Patch tool. To remove an area by painting it out with a brush, choose the Healing Brush. When using the Patch tool, draw around the area you want to remove. The tool works just like the Lasso tool, so you can hold down the SHIFT key and drag to add to your selection, or press ALT (Windows)/OPTION (Mac) while dragging to subtract from your selection. When you're finished selecting the area to remove, click inside the selected area and drag the selection outline over to the area with which you want to replace it. In Figure 8-23, I selected the top leaf and then dragged the selection outline to the left to cover the leaf with the gradient from the background in that area. When using the Healing Brush tool, select the brush size, hardness, spacing, angle, and roundness by clicking the brush sample in the Options bar to reveal the Brushes pop-up palette. A relatively small, hard brush typically works best. Specify the blending mode of the area being "healed." containing sand, hair, or other noisiness, try working with the blending mode set to Replace and using a smooth brush for best results. paste. Leaving the Aligned option unchecked causes Photoshop to start from the beginning each time you click the image to paint. Work as you would with the Clone tool, by ALT-clicking (Windows) or OPTION-clicking (Mac) first on the area you want to copy, and then dragging in the area you want to paste to. Wait a few seconds after making a stroke to see the color and tonal corrections be applied to the area you edited. 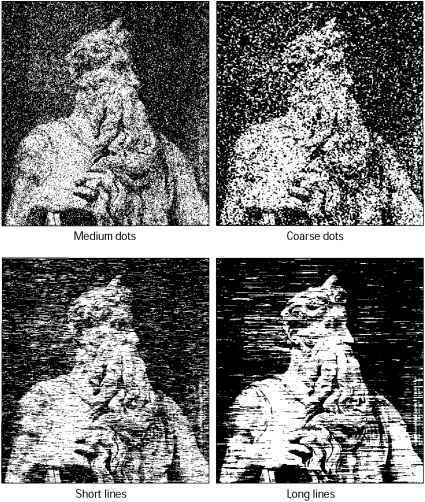 If you need to make corrections to a precise area without affecting the surrounding pixels, make a selection with the selection tools before painting with the Healing Brush.